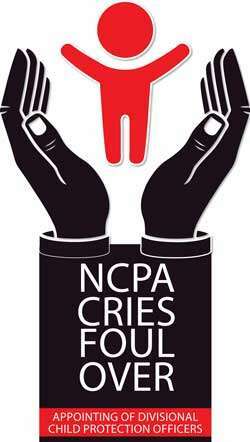 It was revealed in a recent investigative newspaper article that the National Child Protection Authority (NCPA) is facing a crisis. Up to now a Director Board hasn’t been appointed and this boils down to the fact that this institute is affected by corrupt practices of politicians. And all pointers indicate that the issue extends beyond an administrative crisis. In short this investigation is connected with a political hand in the submitting of a list of names for a recruitment purpose. 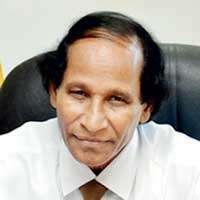 It was alleged that this inordinate delay was the result of the then Chairperson De Livera and the subject Minister Chandrani Bandara being at loggerheads. Tension existed at the time the interviews were in progress. The best example is a letter written by De Livera alleging that Minister Bandara had ordered her to sign a document on November 13. In the letter De Livera states that she had to approve the recruitment of a group of individuals for the posts of Divisional Child Protection officers. “When I visited the cubicle of the Minister, she scolded me and threatened me saying that I had to approve a list that contained the names of individuals who were to be recruited as protection officers. As it was illegal I refused to sign it. My refusal, which was made in a high pitched tone, had driven fear into the female officer, who accompanied me to the room of the Minister. She had then attempted to enter the room” De Livera states in the letter. These facts are included in a writ application WRIT/39/2018 filed before the Appeal Court. According to the writ petition the Minister is alleged to have made this request after the interviews concluded and before the letters to the selected 116 individuals had been sent. The Divisional Child Protection officer hopefuls were ignorant of the disagreement between the Minister and the Chairperson of the NCPA. Therefore the delay in receiving their appointment letters dragging from weeks to months and the growing anxiety in them forced the graduates to make inquiries from the authorities. Their first letters of grievances were sent to the Women’s and Child Affairs Ministry on March 20 addressed to the Ministry Secretary Chandrani Senarathne and to the Chairperson of the NCPA. 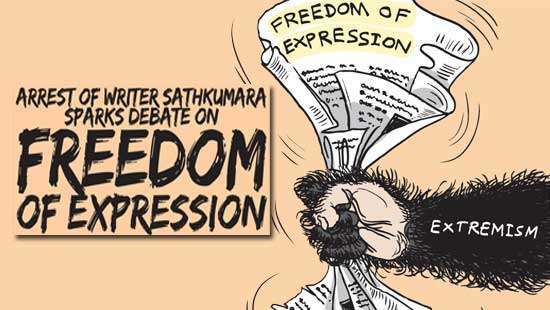 The letter addressed to the Ministry Secretary had been accepted by Ranjith Kulasinghe, a private secretary to the Minister, and the letter addressed to the Child Protection Authority had been accepted by an administrative officer by the name of Janaka. Another letter had been sent to Presidential Secretary Austin Fernando on March 23. However it’s regretting to note that there were no responses to these letters. The fall out between the Minister and the then chairperson remained an inside matter, while the crisis between the Minister and the Trade Unions of the authority exploded outside. When charges were levelled by the Trade Unions against the administration of the authority, De Livera issued a notice on January 23 stating that these charges were false and fabricated. The labour Union of the National Child Protection Authority sent a lengthy letter to the President on January 29 detailing all charges. When this authority was established in 1998, under National Child Protection Act No 50, the main fact that received the attention of the Parliament was that it should function as an independent state institution without political interference. However during the recent past this institution has faced challenges. By virtue of the powers vested in the chairman, the calling of the meeting of the Board of Directors was a task of the Chairperson, but it had gone to the extent where the meeting of the Board of Directors had been called by the secretary of the Ministry. On February 7, the day of the incident, the then Chairperson had also called a meeting of the Board of Directors which could not be held due to a lack of a quorum. De Livera issuing a statement on February 8 charged that certain interested parties are curtailing the independence of the institution. The youths, who were awaiting a favourable response regarding their appointments as protection officers, were fully unaware of the inner struggle within the authority. While this was so the tenure of the Board of Directors of the authority also ended and the former Deputy Chairman Attorney H.M. Abeyrathne was appointed as chairman. With this appointment Abeyrathne had to shoulder the crisis of appointing the Divisional Child Protection officers. The absence of a board of Directors to lend him a helping hand is surfacing. According to the terms of the act, the NCPA Board of Directors have to be appointed by the President. However an institution established for the protection of children operates without a Board of Directors. The newly appointed chairman seems to be making all attempts to retrieve the authority from this crisis situation, but his tasks depend on the cooperation and the assistance he can obtain from the Ministry. The best example is the delay in appointing the selected Divisional National Child Protection Officers. The trade unions of the authority too have failed to express their position up to now. 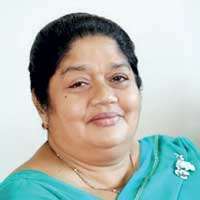 When this newspaper made inquiries about the making of appointments from the subject Minister Bandara, she directed us to her private secretary Ranjith Kulasinghe. 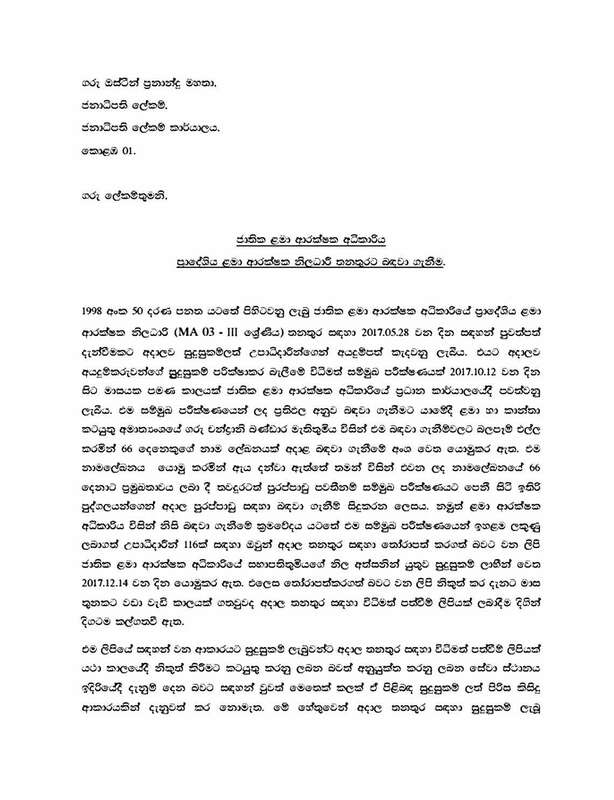 In his statement Kulasinghe attempted to stress that after the interviews, letters to the eligible individuals had been sent without the approval of the Board of Directors. 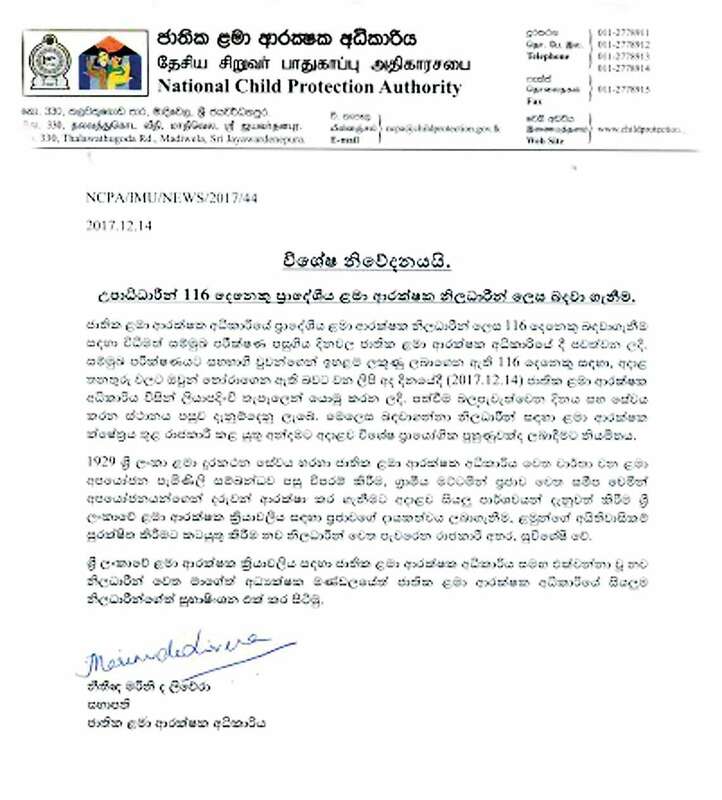 But a statement issued by NCPA Chairman Abeyrathne rejects this claim made by Kulasinghe. He stated that he had inquired about this matter and observed that a written approval had been obtained. The private secretary said that he was unaware of the politically influenced list of 66 individuals and added that in order to avoid this mudslinging an investigation is being conducted at Ministerial level. 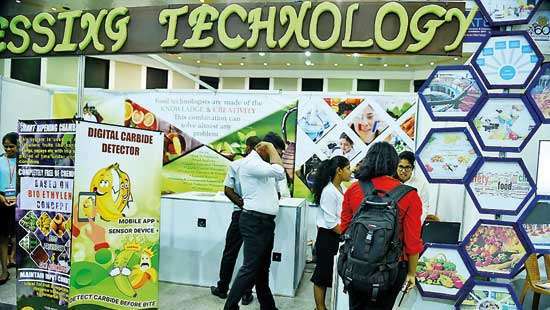 Further inquiries from Ministry Secretary Asoka Alawatte revealed that she was ignorant of such a matter and her primary task had been to appoint a Board of Directors. Therefore what the private secretary had stated has been disproved by two state officials. All responsible parties are dumbfounded when inquiries are made regarding this political list that contains the names of 66 individuals. The task of replying this vital question has been palmed off to a private secretary by Chandrani Bandara. The most humorous part is that the appeals made by those who obtained the highest marks are being handled by the same private secretary. Even though the Minister is unaware of this controversial list, the then chairperson had disclosed it. Is it not a coincidence that a majority of the names in that list have their roots in the Anuradhapura District, which is represented by the Minister? The Private Secretary questions why a letter was sent at a time when the elections were being held? It may sound true, but the letter had been sent by the 116 who were the most eligible and had obtained the highest marks. Opinions can be raised regarding the validity of a reply sent by a private secretary with that of a Ministry Secretary and a Chairman of an Authority. The Chairman of the NCPA Attorney Abeyrathne however assures that there is no issue and steps are being taken to effect these appointments. 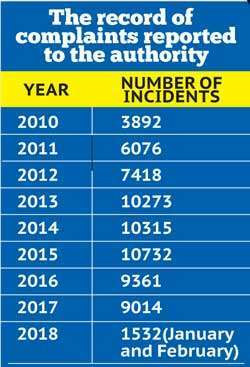 Meanwhile the Minister’s private secretary reiterates that an investigation has been commenced by the ministry and until such time the investigations are over no assurance can be given about the future of the 116 individuals. Basing our assumptions only on the statements that are now surfacing it is crystal clear who is behind the muddling of the independent nature of the NCPA. It is also evident that the administration of this institute is truly under a political hand. Already one half of the year has lapsed. Even though the appointments are made effective these officers can’t be deployed immediately. This is because these officers need to be provided with a practical training. The primary duties of these officers to be appointed are reviewing complaints received regarding child abuse and doing follow ups, closely liaising with the rural population, creating awareness regarding protecting children from being abused and protecting children’s rights. The inordinate delay in their appointments therefore has made a huge impact on the country’s children. The Government, which is vociferous regarding the ridding of corruption, promised the abolition of nepotism and political favouritism. Hence the recruitment of these individuals to the Government services is challenged. Therefore there should be no reason for this delay. Much time has been wasted in the process of replying these graduates. The delay and the silence witnessed suggests that there is some stumbling block. Your guess is good as mine regarding who is behind the appointment of 66 individuals and the power of this individual to suppress the 116 who had obtained the highest marks at the test. The following are excerpts of an interview done with Private Secretary to the Minister Ranjith Kulasinghe. Q What is this list of 66individuals? Applications were called for and interviews were held during a month. For some reason the letters had been sent to them during the elections stating that they have passed the interview and their appointments would made in due course. That is the issue. Taking advantage of the political situation someone had spread a rumour that a list containing the names of 66 close associates of the Minister has been presented. The Minister has no intention of issuing such a list. There was no move to interfere in the recruitment procedure. Q What is happening now? There is a committee, operating at ministerial level, conducting an investigation to ascertain whether the awarding of marks had been done sticking to a procedure. Letters had been sent to certain candidates stating that they had been selected. This had been done without the knowledge of the Board of Directors and during the time there was an election. They are now investigating as to how this had happened. With the name of the Minister being connected to a list of 66 individuals we should clear ourselves. The Minister has directed an audit saying that she should be cleared of this accusation. She has said this because when anyone is appointed through a list purported to have been politically influenced, the Minister’s name would be dragged in and she will be held responsible. Therefore the Ministry Secretary had been instructed to effect these appointments without a delay given that there has been no irregularity in accordance with the findings of the committee of investigations. Q The former chairperson in her petition of Writ had submitted the names of the 116 individuals and the 66 other names, supported by documents. It mentions further that the Minister concerned had influenced her to effect these appointments. If that is so we will act according to the law. If the Minister has given her a list and if she has it in writing let her prove it. The Minister and I are not aware of any such thing. I am doing most of the work of the Minister. Therefore I can firmly state that there was no such list comprising the name of 66 individuals. 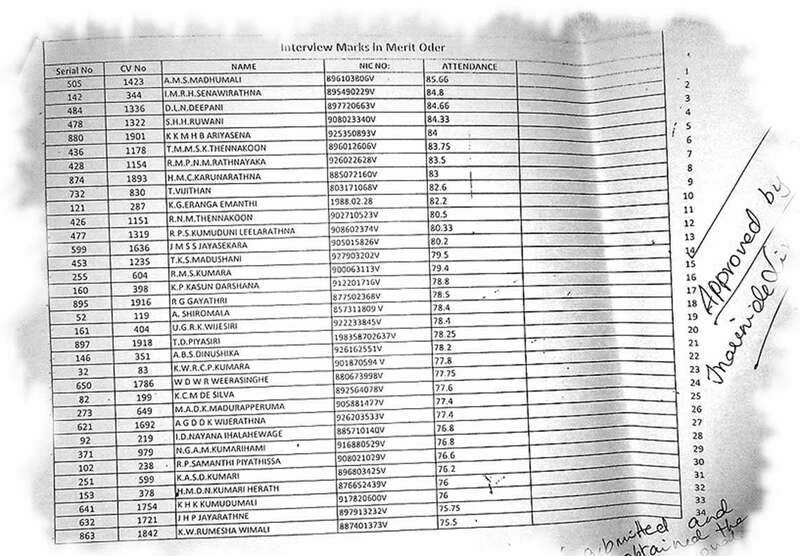 Q Can you therefore confirm that the 116 individuals would be given appointments. I cannot say that as I inquired into these appointments. The officials who conducted the interviews hadn’t signed the result sheets. There are also legal infringements. An investigation is now in progress under the direction of the Minister. It is only when this concludes that we can state what will happen. When we contacted the NCPA Chairman Attorney H. M. Abeyrathne he said that there were no errors with regard to the procedures that were followed. We discussed this matter with the Minister. The letter had been sent by the former Chairperson. She should have obtained the approval of the Board of Directors before sending that letter. I also came to know about it later. There is something in writing. Therefore there is no issue and the appointments would be made during the first two weeks of June. 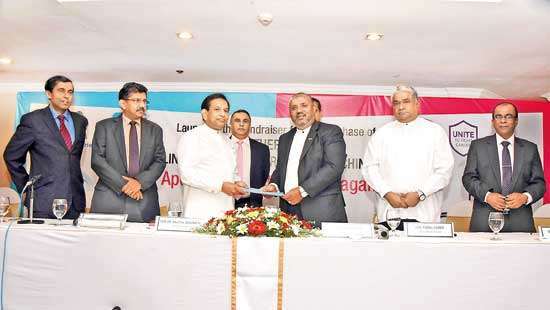 When contacted Ministry Secretary Asoka Alawaththa said that A Board of Directors should be appointed in the first place. “The first step we are taking is to appoint of a Board of Directors for the NCPA and commence work. There were some minor issues there. Commencing work is more important than everything else and I am focused on that. As I am new I am not aware of the interviews held for recruitment purposes. I have no knowledge of any lists,” said Alawaththa.